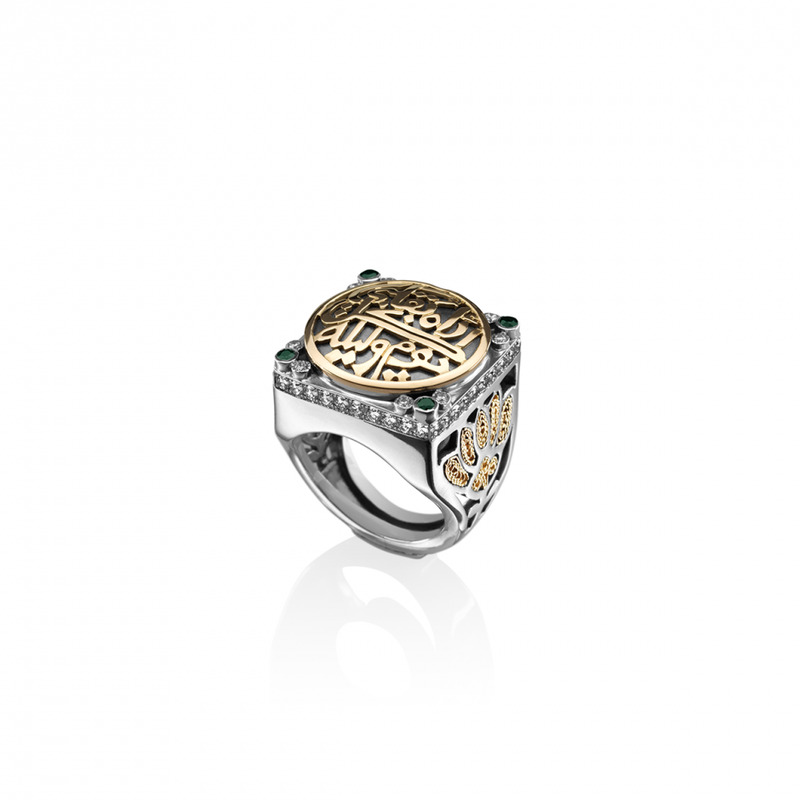 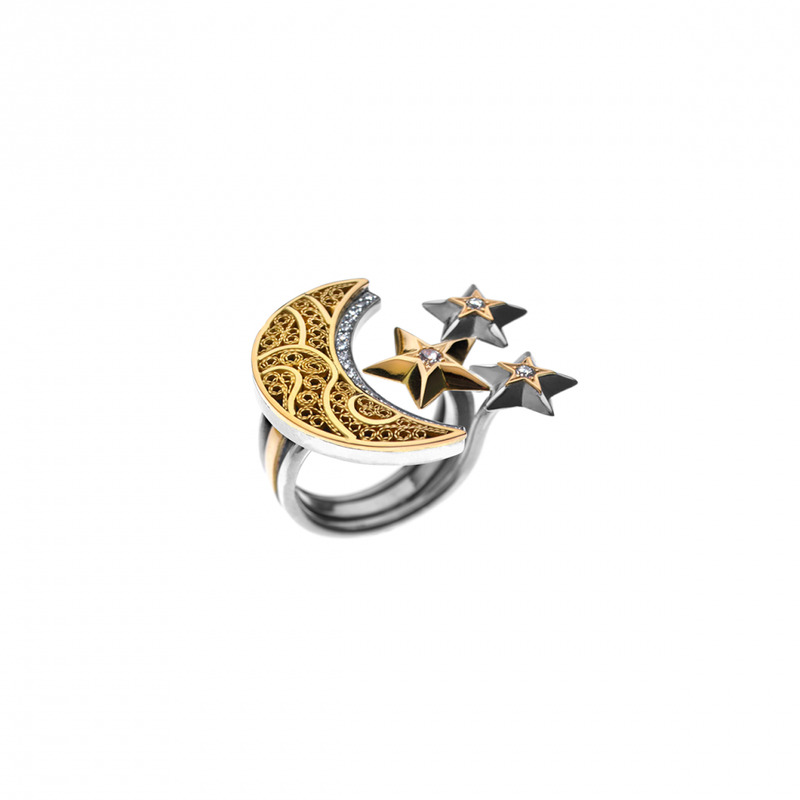 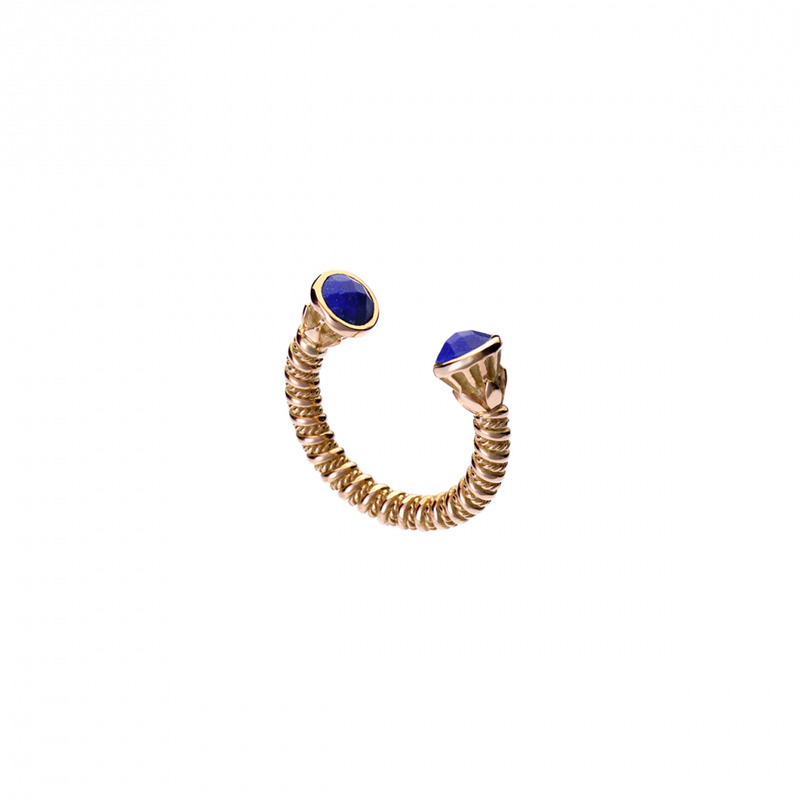 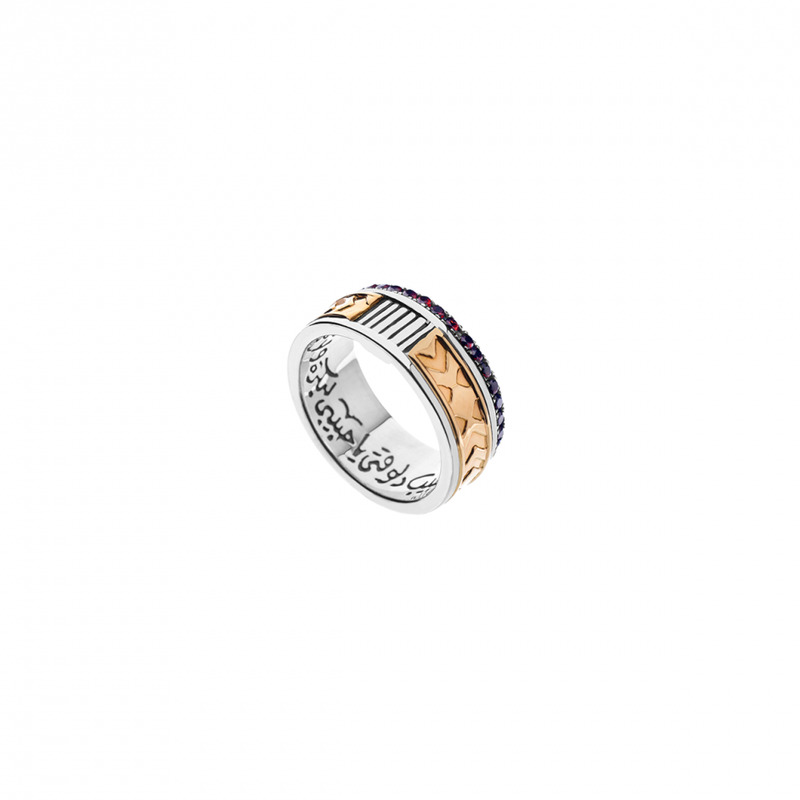 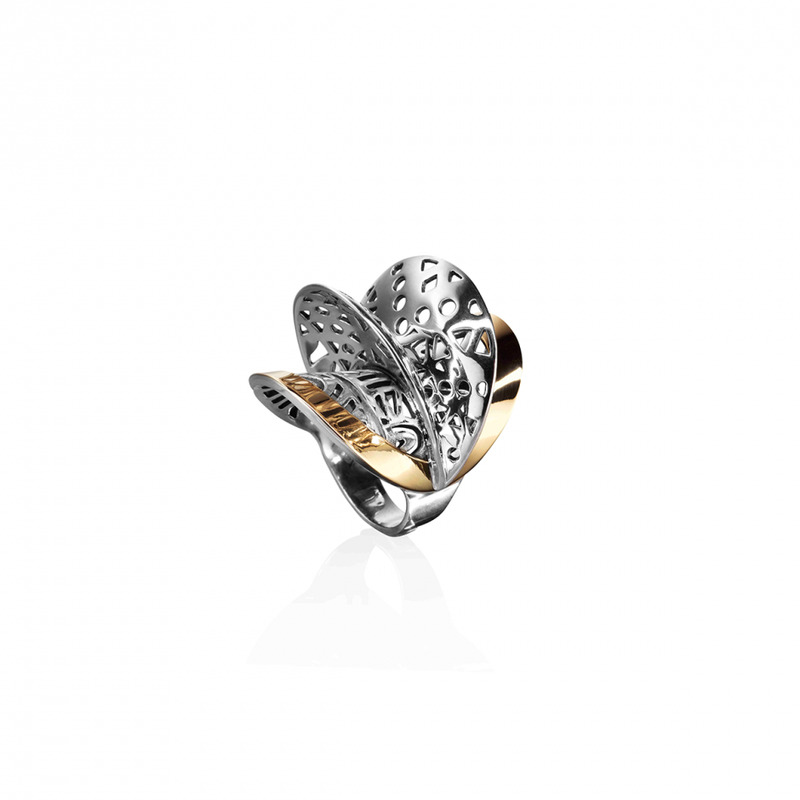 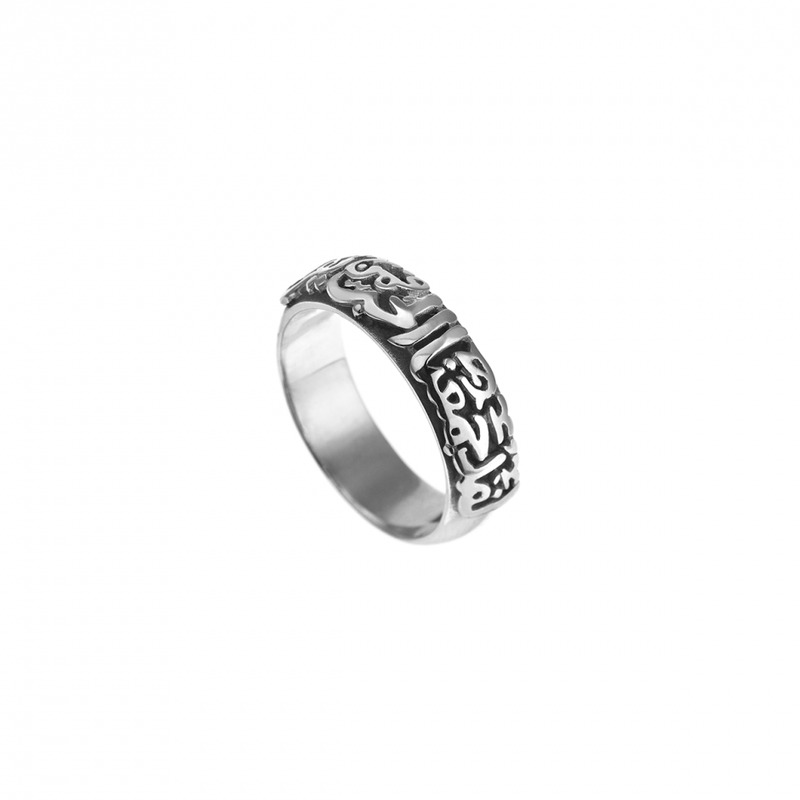 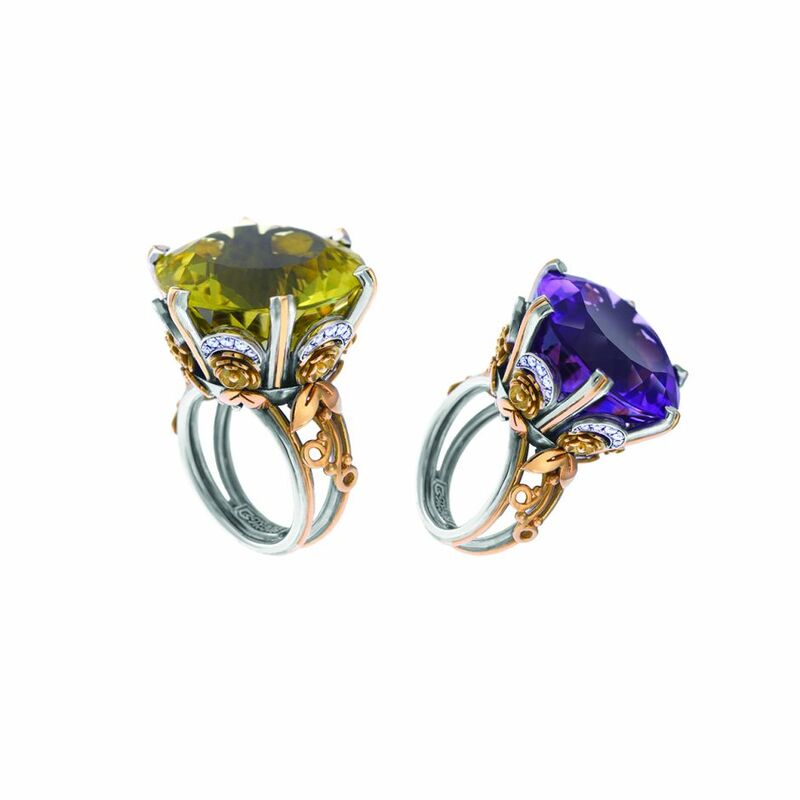 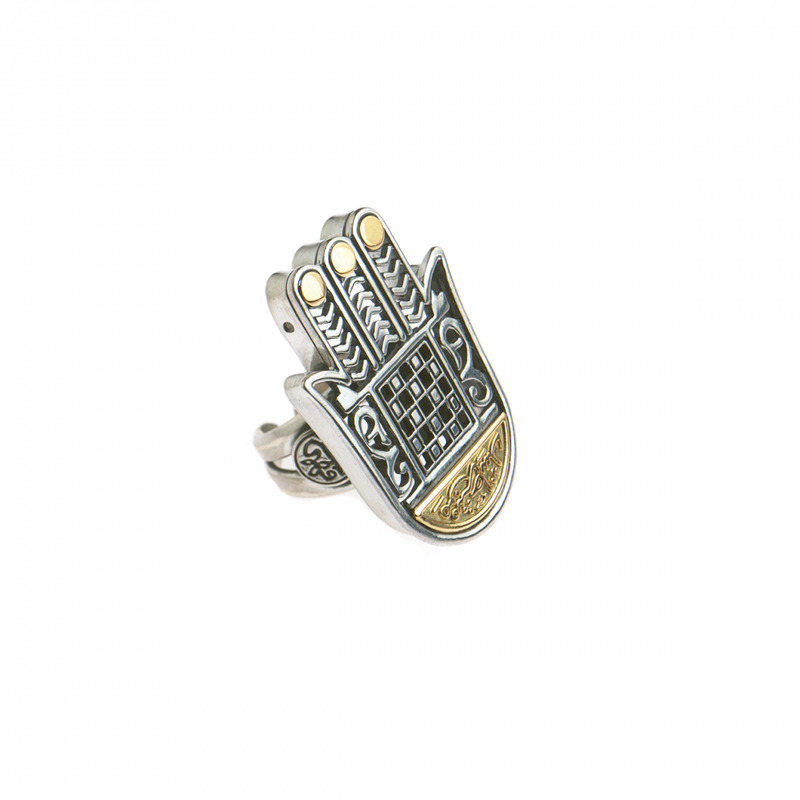 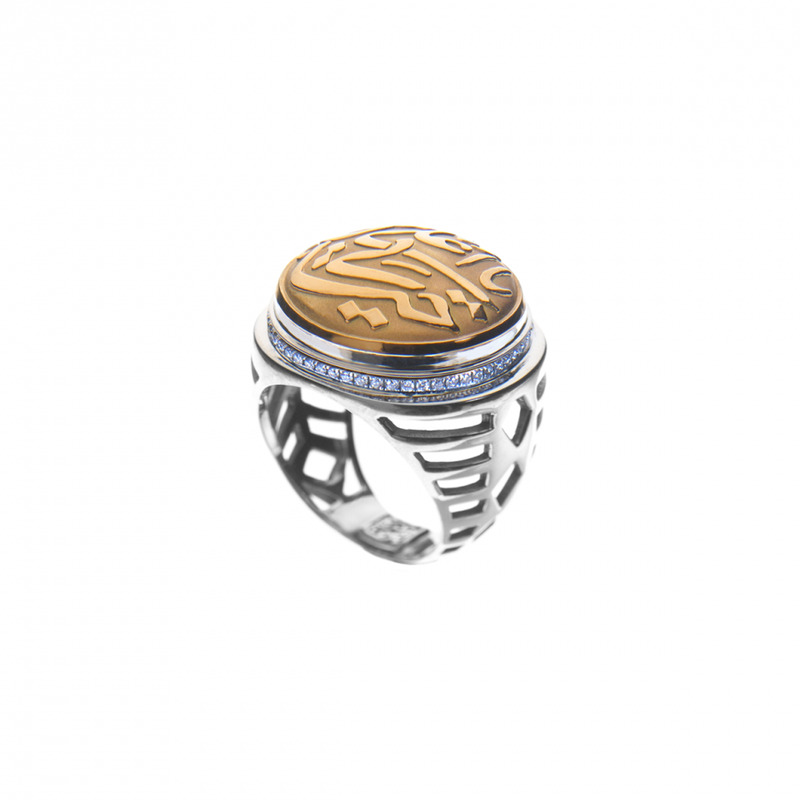 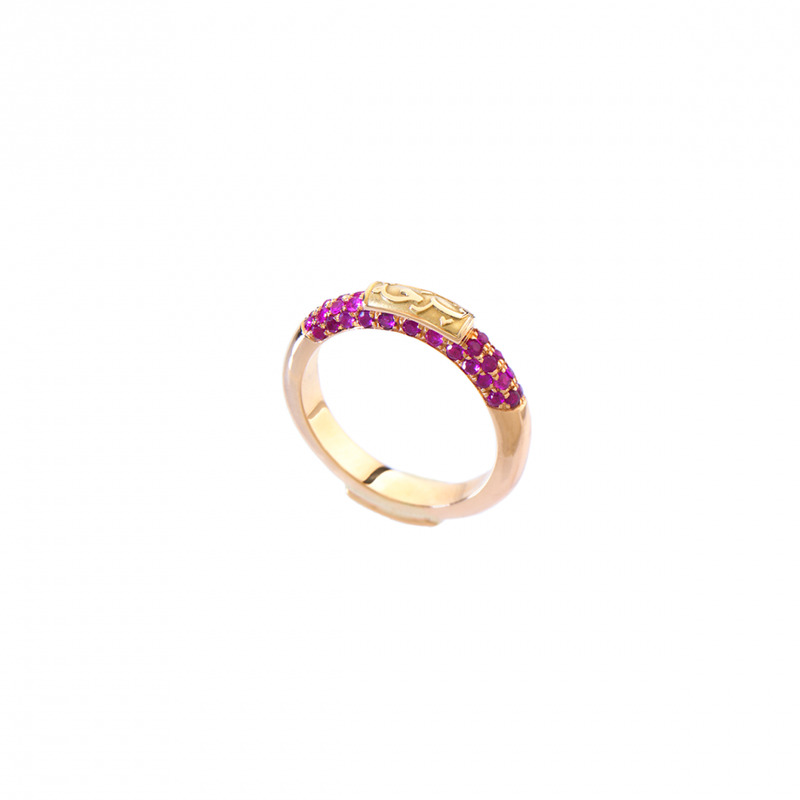 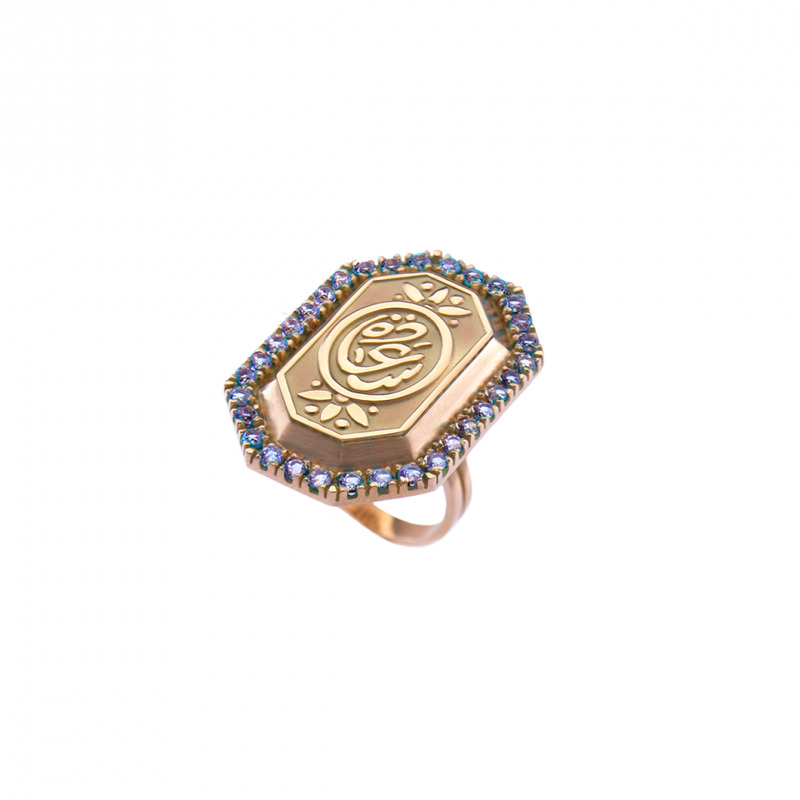 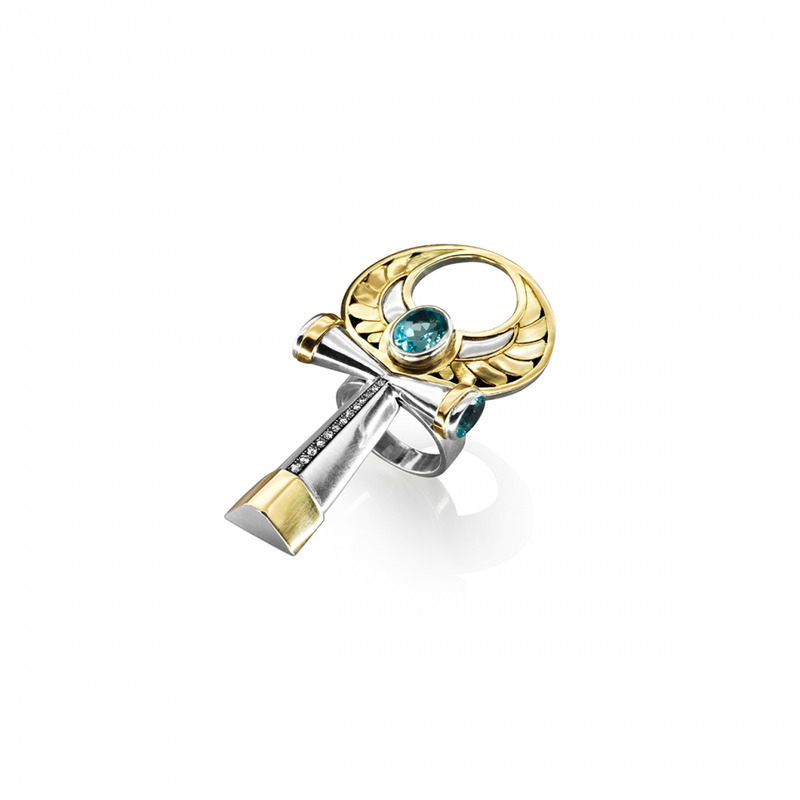 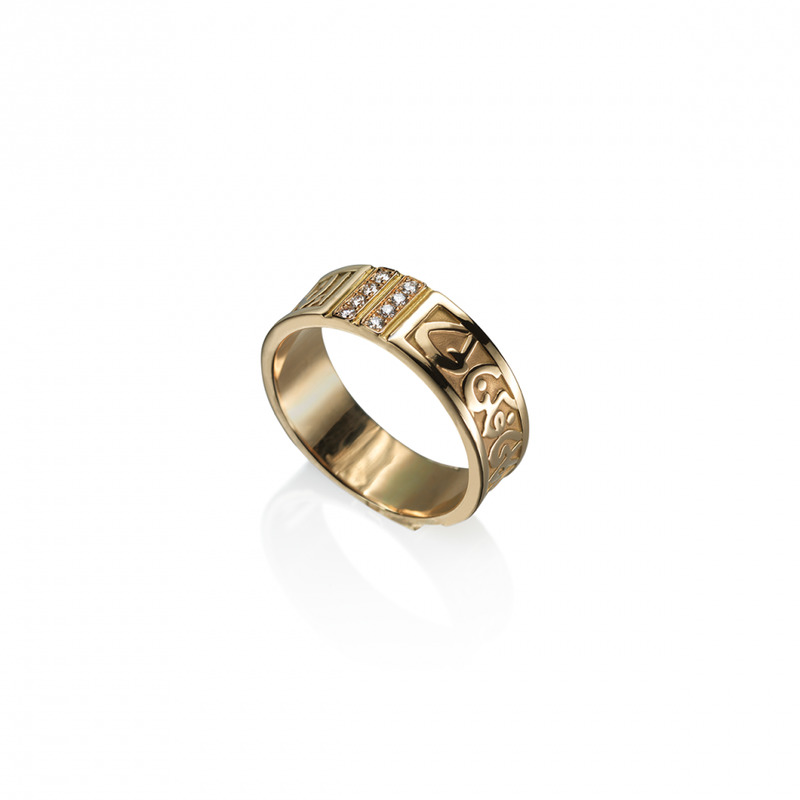 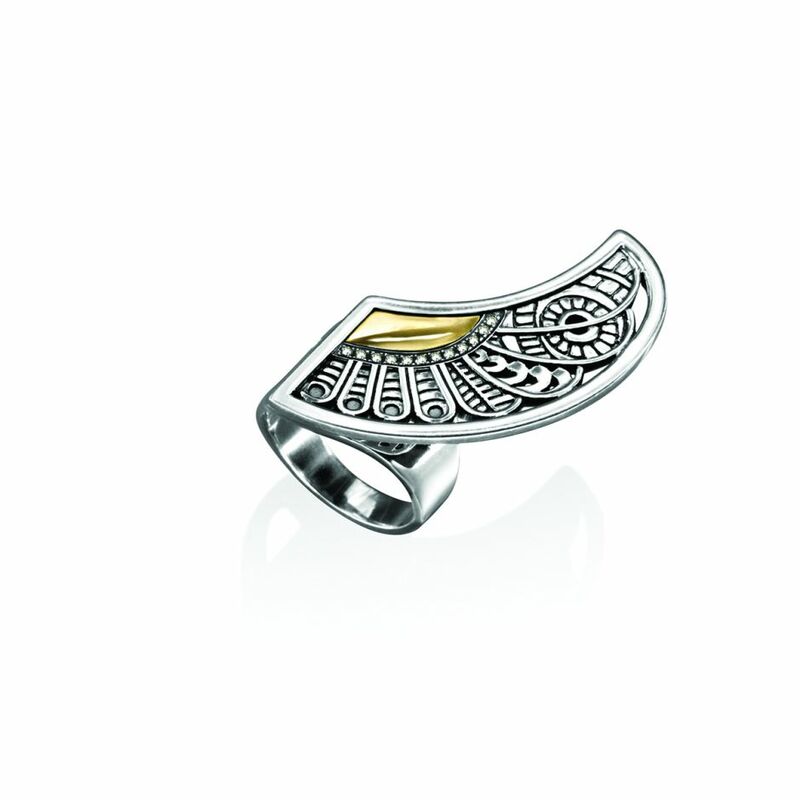 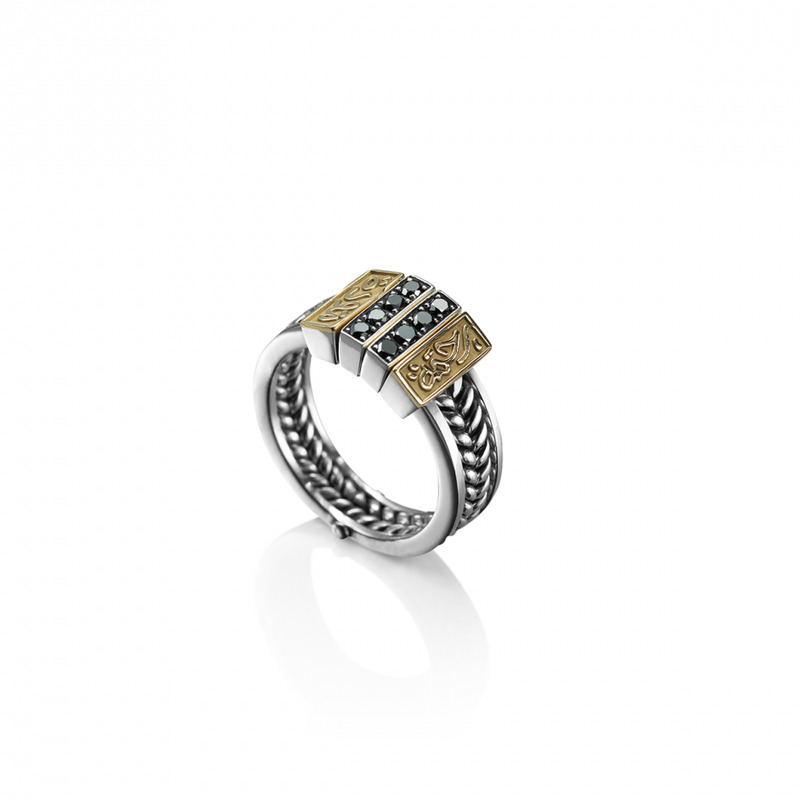 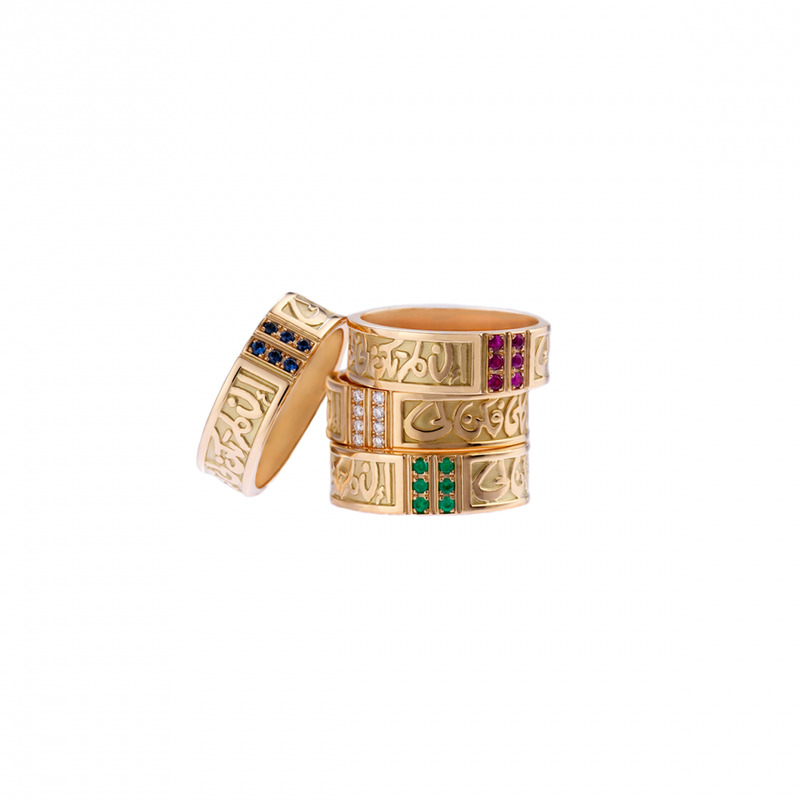 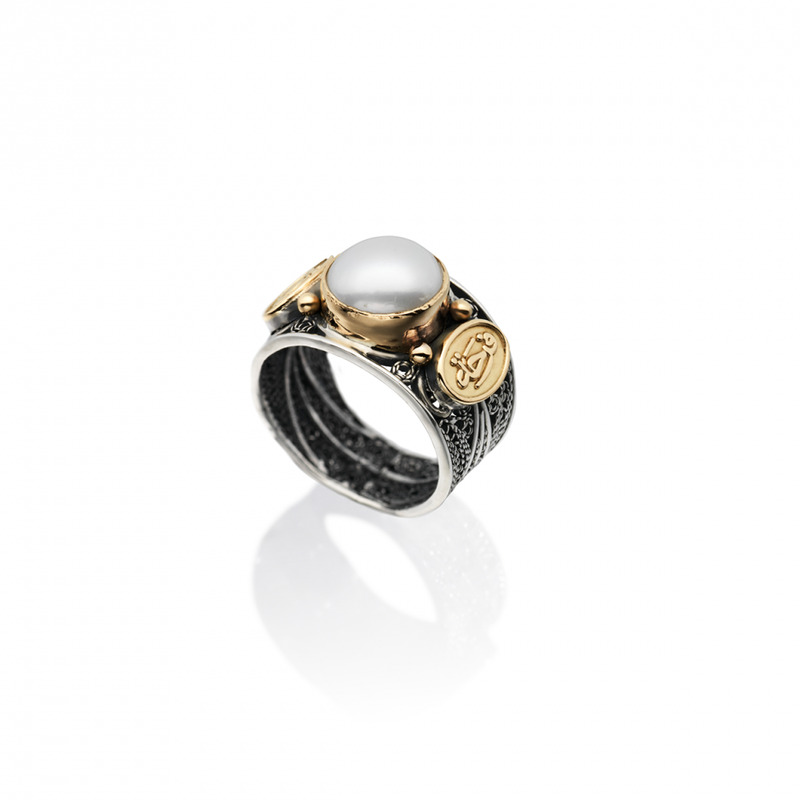 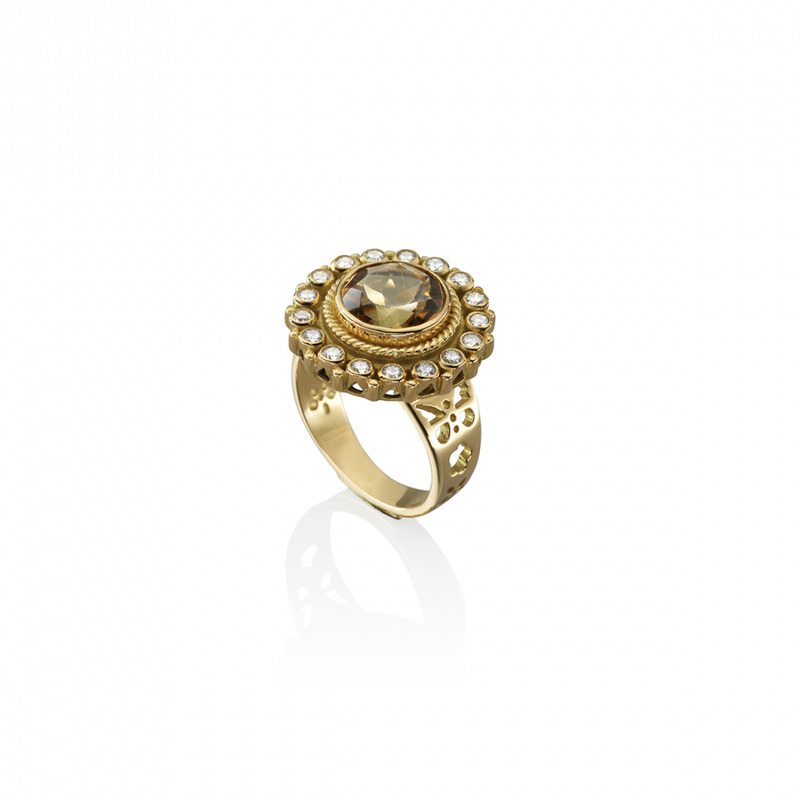 Sterling silver and 18 kt Gold adorned with motifs. 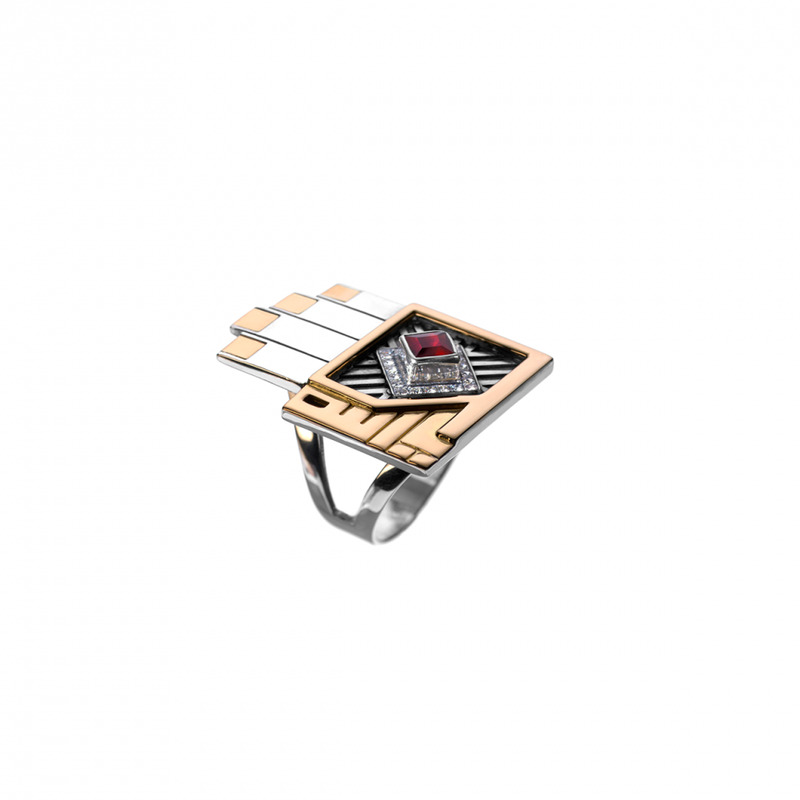 Inspired from Fulani tribes displaying their bridal wealth. 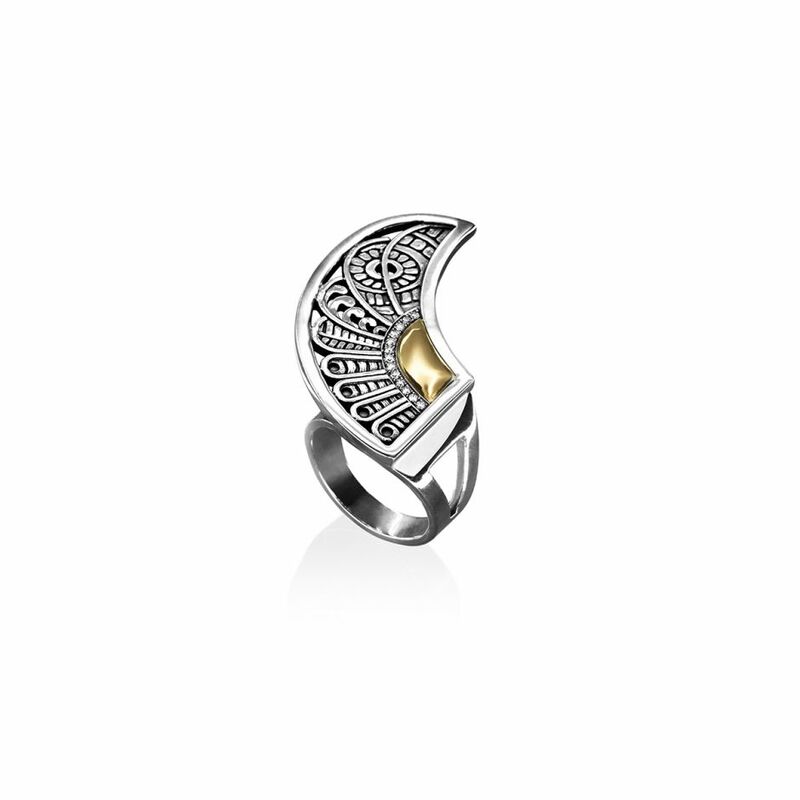 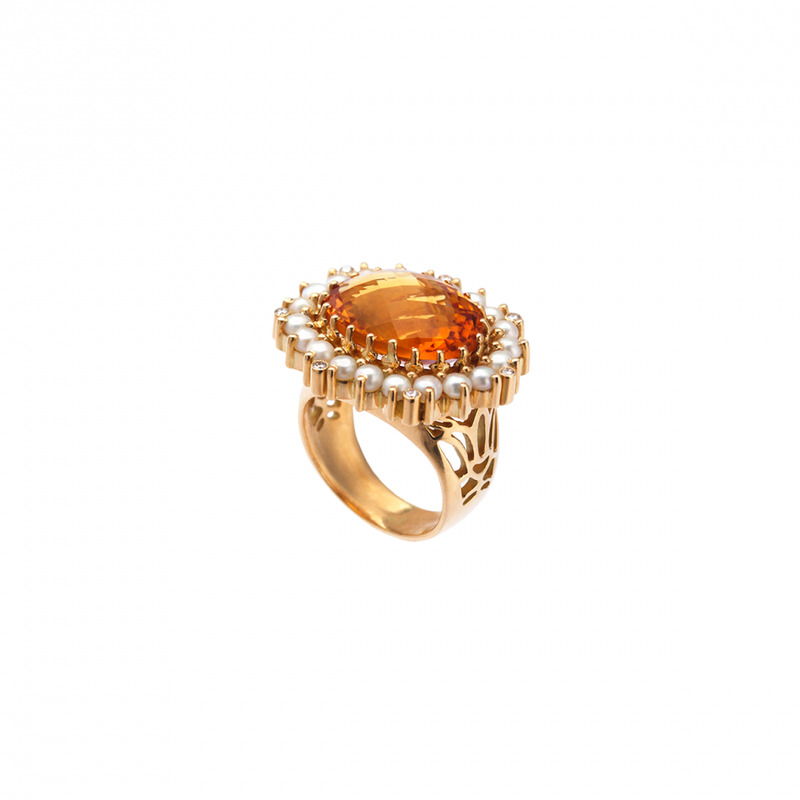 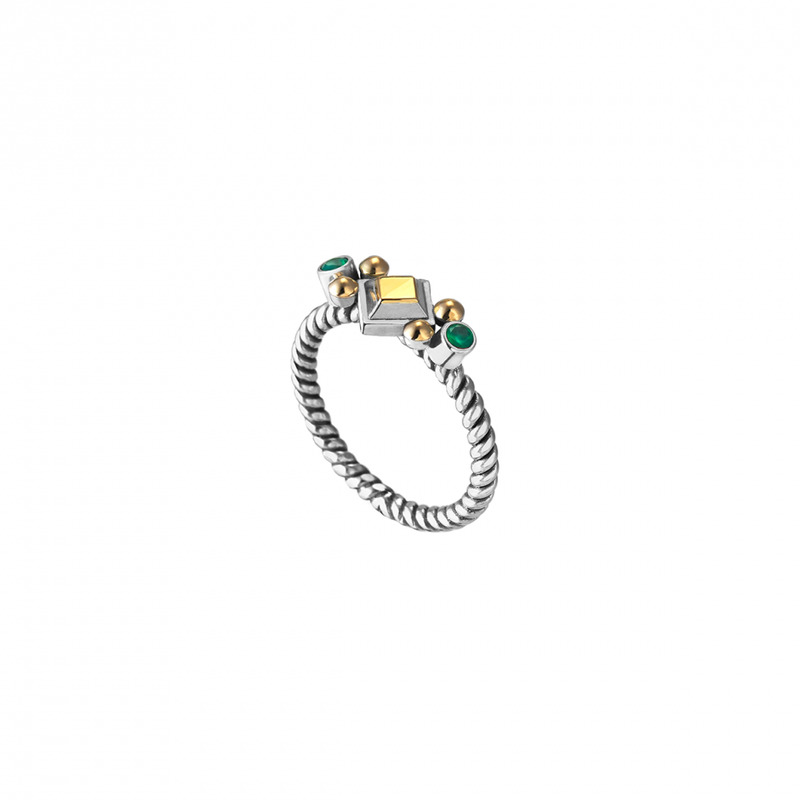 A charming classic set with a timeless stone surrounded with delicate filigree, in 18kt gold and sterling silver.